Sofia's royal closet is bursting with fashions. Try some on! Create your own Never Land hangout. Help Sofia play a matching game against Cedric. Fly Sofia on the magic carpet to reach the party at Tengu Peak! Create a card with your favorite Disney Junior friends! 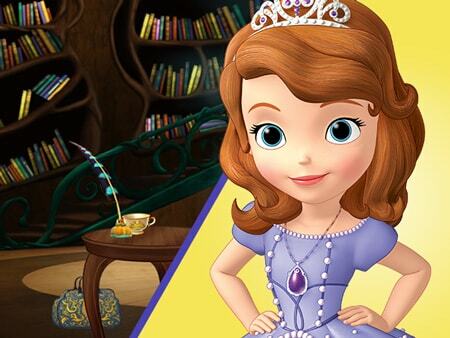 Help Sofia find the Secret Library! Race with Sofia, Amber and James in the annual Wassailia Day sled race! Play sports games with the sparkly ball of sparkles. 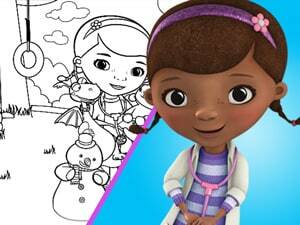 Paint a masterpiece with your favorite characters from Doc McStuffins. Help Officer Pete chase down the wicked king to get Doc's necklace back. Time for your checkup! 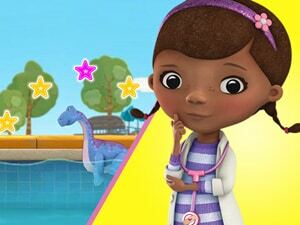 Help Hallie get through a busy day at Doc's Clinic. 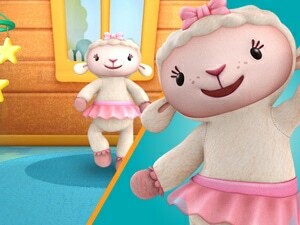 Play a dancing game with Lambie. Swim along with Melinda in her magical mermaid leaping show. 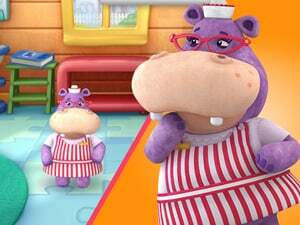 Help Stuffy clean up all the doctor tools in the clinic. 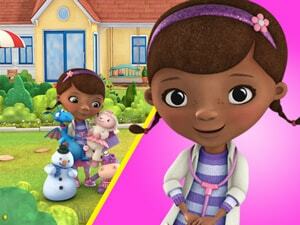 Hallie needs your help to clean up the clinic after a very busy day. Make a snowman friend for Chilly. Lambie necesita practicar sus pasos de baile, ¡antes de que se le olviden! Play in Sharky and Bones' Pirate Rock band. Explore pyramids to help Jake find the treasure hidden inside. Create your very own Pirate name! Celebrate the holidays with a merry winter treasure hunt. Compete in the Never Land Games and win the trophy! 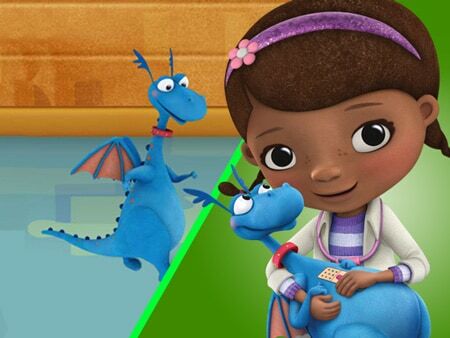 Go on a treasure hunt with Jake to find all his birthday treasure from Izzy and Cubby. Help Jake catch all the bananas. Create your own pirate pumpkin for Halloween. Play a pirate puzzle game. 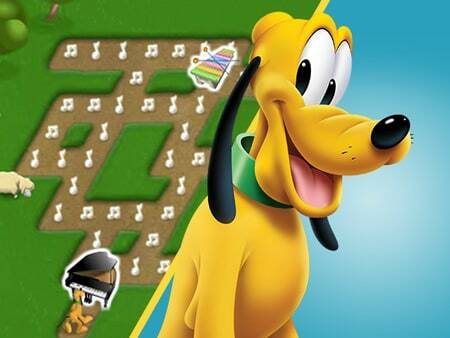 Find Jake's bedtime treasures and don't get caught by Captain Hook! Help Skully collect and return the fruity booty that Hook and Smee took from Jake. Find all the pieces of the Pirate Princess' rainbow wand to restore color to Never Land. Help Jake complete puzzles to fix the pirate marble raceway track. Learn the skull and bones stomp at Jake's pirate dance party. Go on a Halloween treasure hunt with Jake, Izzy and Cubby! Follow clues to help get Jake's treasure back from Captain Hook. Go on a Never Land adventure and help Jake find the buried treasure. Play pirate mini-golf with Jake and the Never Land Pirates! Unlock Jake's super powers to get the mega-mecha sword back from Captain Hook! Join Jake and his crew along with Wendy, Michael, and John as they try to recover the lost storybook pages! Help find Patch the Pirate Puppy! Jake y los piratas del país de Nunca Jamás - ¡Viaja más allá de los mares de Nunca Jamás! ¡Ayuda a Jake a explorar un lugar nuevo en el mar! Ayuda a armar los rompecabezas que Izzy creó para Jake y sus amigos. ¡No dejes que el Capitán Garfio se quede con Bucky! ¡Ayuda a Jake y a sus amigos a encontrar a mancha, el perro pirata! 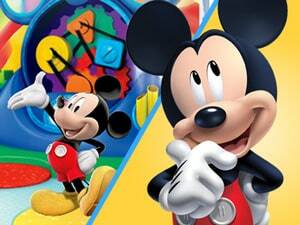 Go on a space adventure treasure hunt with Mickey Mouse. Hop aboard the Choo-Choo Express and help get Mickey and the gang to Mistletow Mountain. 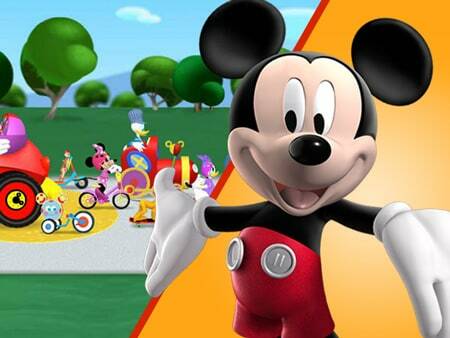 Join Mickey and the gang defeat Powerhouse Pete. 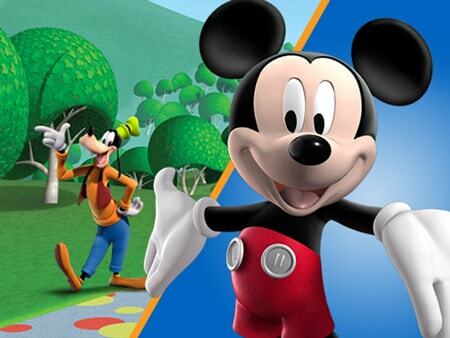 Help Minnie and Pluto find all the missing things! 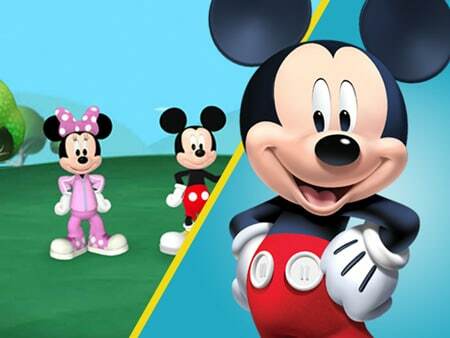 Go on a treasure hunt with Mickey and the gang. 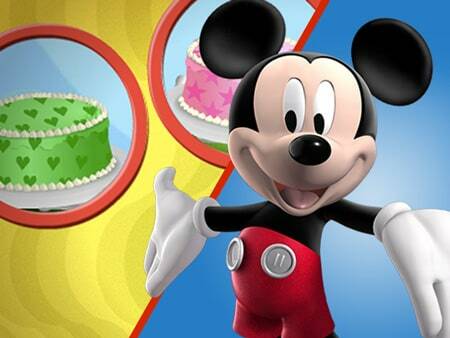 Help Mickey make yummy meals for his clubhouse friends! 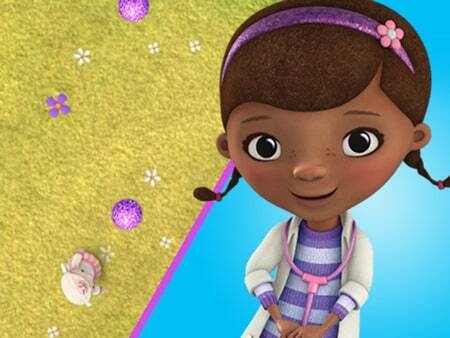 Help Toodles and Minnie catch the butterfly bows and return them to their home. Go on a wild ride through Goofy's Clubhouse slide! 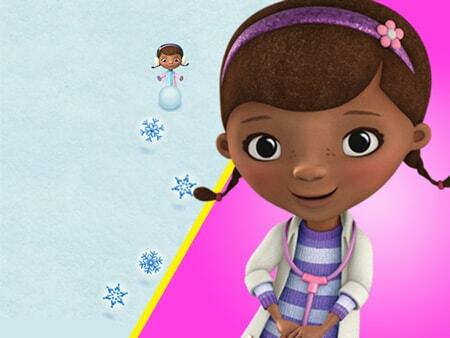 Dash through the snow with your favorite Disney Junior pals in a holiday racing game. Use Mickey's Mousekespotter to spot everything! It's snowing! Draw your own frost designs on your favorite Disney Junior pal's windows. 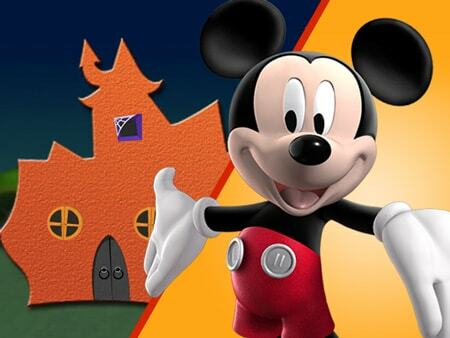 Decorate your own Spooky Ooky house for Halloween. 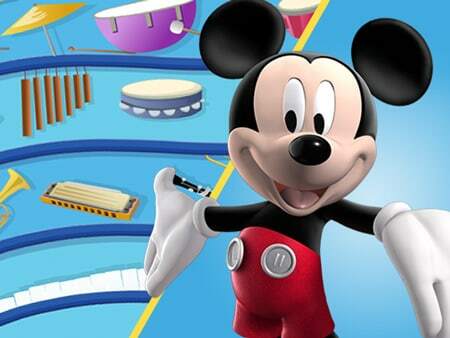 See what fun sounds you can play on Mickey's music machine! Ayuda a Minnie a recolectar todos los moños mariposa que se escaparon. Help Rocket get Annie's birthday balloons in time for her party. Play music with Leo and the barnyard animals. Help Quincy find Leo's special musical baton. 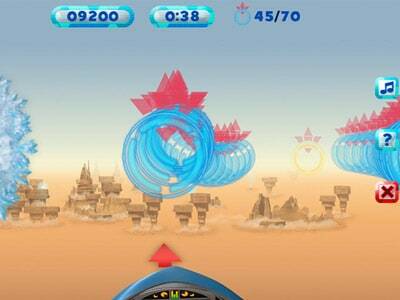 Prepare for blast off in the great sky racing game! 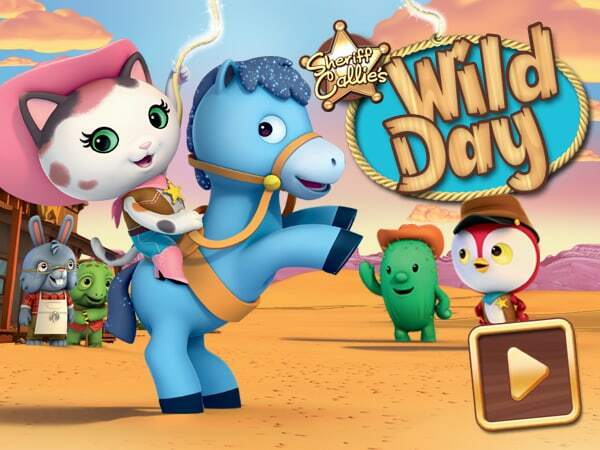 Help the Little Einsteins rescue all the mixed-up animals. Help Leo find all the lost instruments in time to put on a concert. Create your own artistic masterpiece with your favorite Little Einsteins. 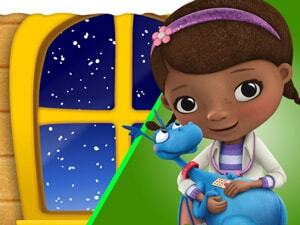 Go on a mission to learn about the arts with your favorite Little Einsteins. Listen to Annie's song and play back the echos to earn points. Help June practice her dance moves for her big dance recital. Express your feelings through a ballet dance with June. Create your own silly songs with your favorite Little Einsteins. Match musical sounds to their instrument to complete the treasure hunt in Orchestra Ocean. Put on a ballet show with the blue footed booby birds. Fix the jukebox that plays music from all around the world. Clean up the streets to help clear Mr. Loparts' path to the post office. Build your own fun toys in Manny's workshop. Choose the right tool to complete tasks. Play a puzzle game with your friends from Handy Manny. Help Manny gather his special friends and go to his family reunion. Help Manny connect the water pipes to get the water flowing again. Help the tools design Manny's birthday pinata. Bounce the tools into Manny's toolbox. Test your recycling knowledge in a trivia game show. Play carnival games to win prizes. Fix as many vehicles you can before time runs out. Find your way through the dark to help Manny turn the lights back on in the greenhouse. How many colored balls can you help Fix-it fetch before time runs out. Help the tools play music for the elementary school concert. Collect and rescue all the Capybaras. Rescue the angler fish but make sure to steer clear of the elecrtic eels! Go on an adventure with the Octonauts and complete all the missions! Create your own family portrait of roarsome monsters. 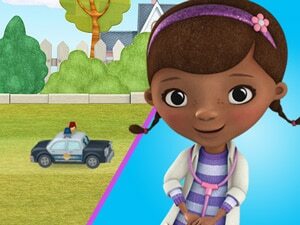 Help Sheriff Callie and her friends Toby and Peck get through a wild day in Nice and Friendly Corners! Add cargo to the scale to try hit each target weight. Complete puzzles with Puffer Pete. Print and color with Koko.